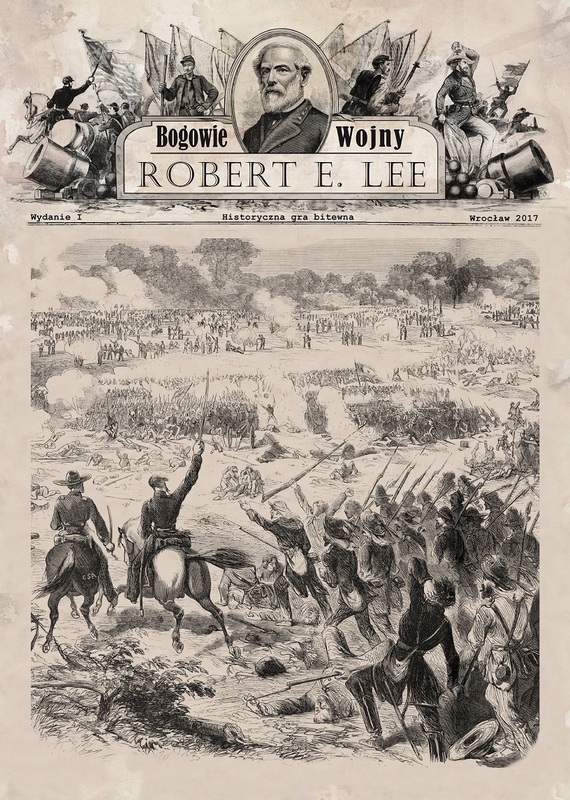 Gods of war – Robert E. Lee is a historical wargame, set in time of American Civil War, especially years 1861 – 1863 and Eastern theater of war. 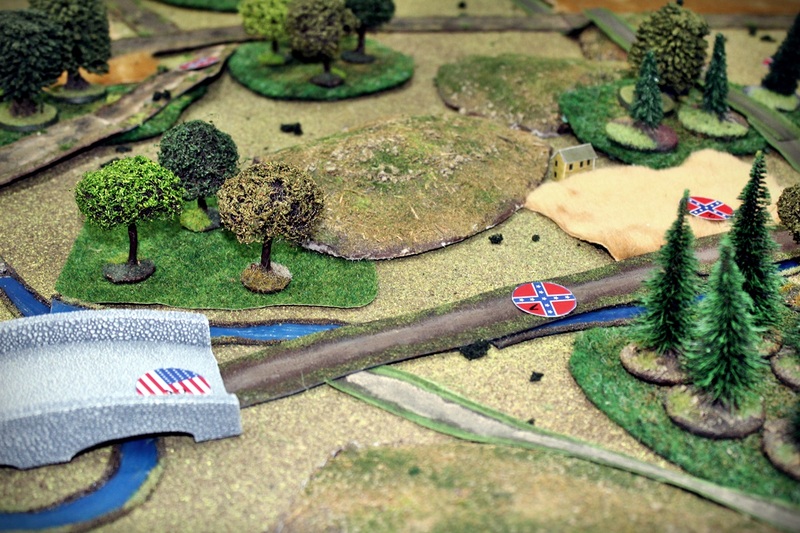 You can play battles from Bull Run to Gettysburg. Further additions will take us to Western theater and also final years of the war. 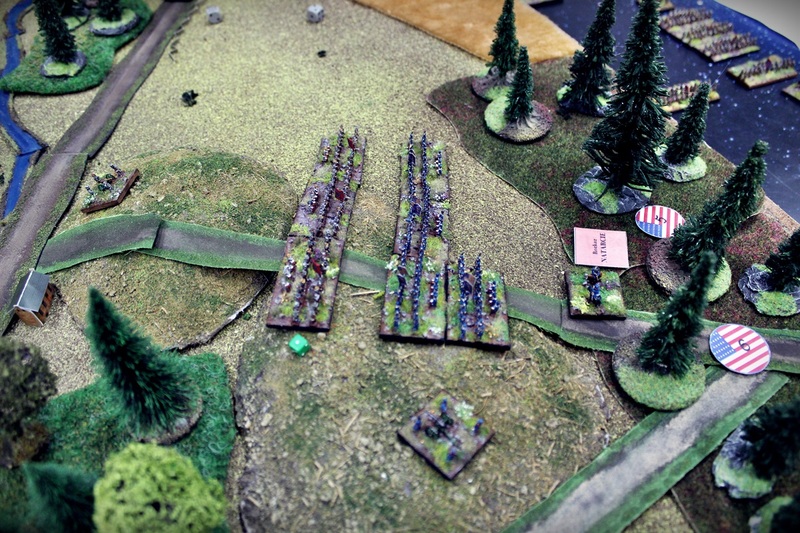 The players use 6 mm miniatures (we produce our own sets of ACW miniatures, see: http://www.gmboardgames.com ). 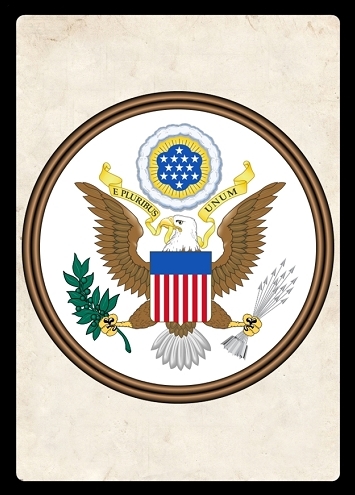 You will command your troops as a commander in chief of entire army. Your main task will be to manage your generals. You can have an excellent battleplan, but if you will have bad subordinates, then you plan will fail. You have to also be careful about your commander’s character, passive commander is not a good choice for an offensive. 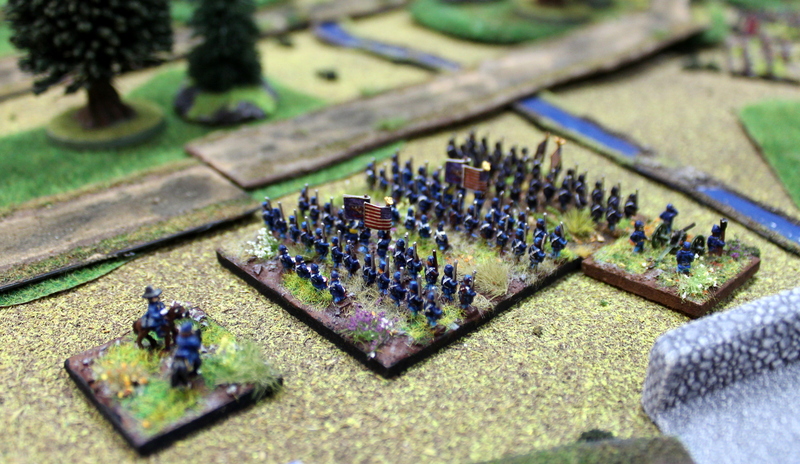 Imagine Jackson instead of Ewell at Gettysburg and you will get the point. You can try to create some rosters with Battlescribe Roster Editor. 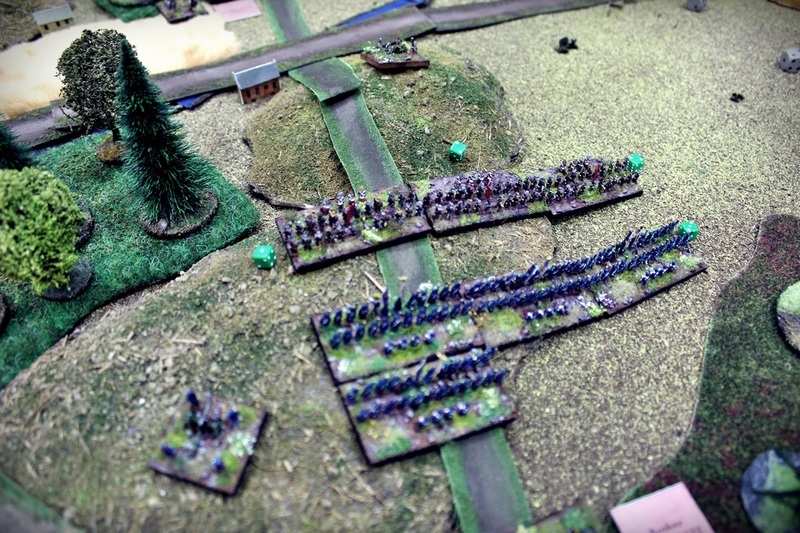 The game is scaled to easily play huge battles, so one infantry and cavalry stand is one brigade, one artillery stand is on brigade or battalion of artillery. 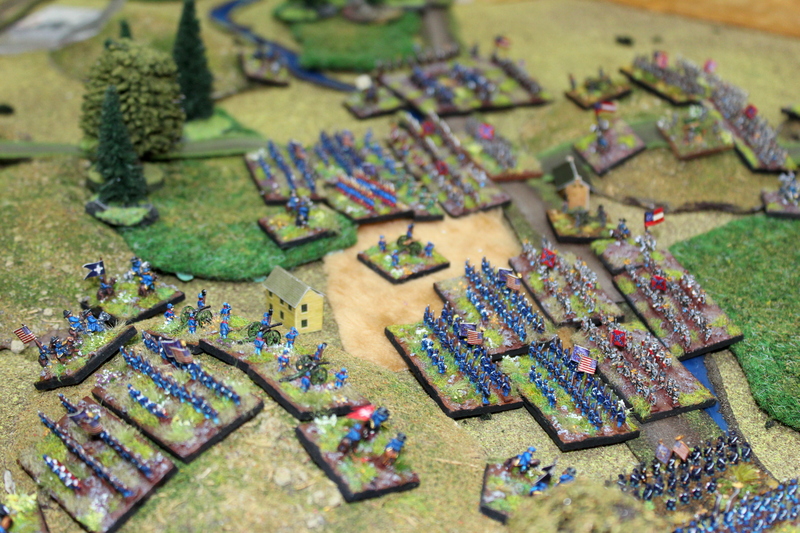 Because of the focus of commanding many things like combat or movement are simplified. 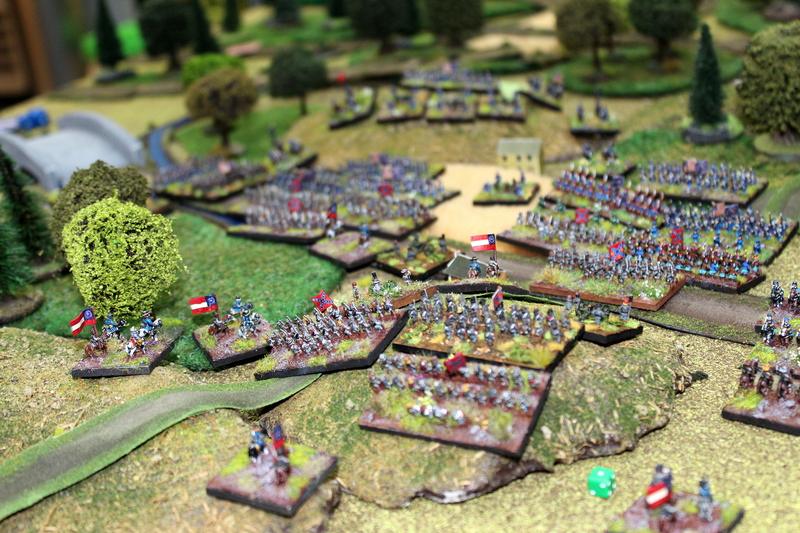 As a commander in chief you don’t bother about tactics of regiments or individual brigades, but you will watch the performance of entire corps, and divisions. 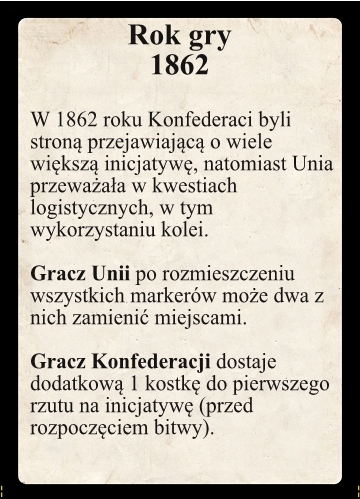 The rules are easy to learn, the Polish version rulebook got only 60 pages (the English one should have approx. the same). 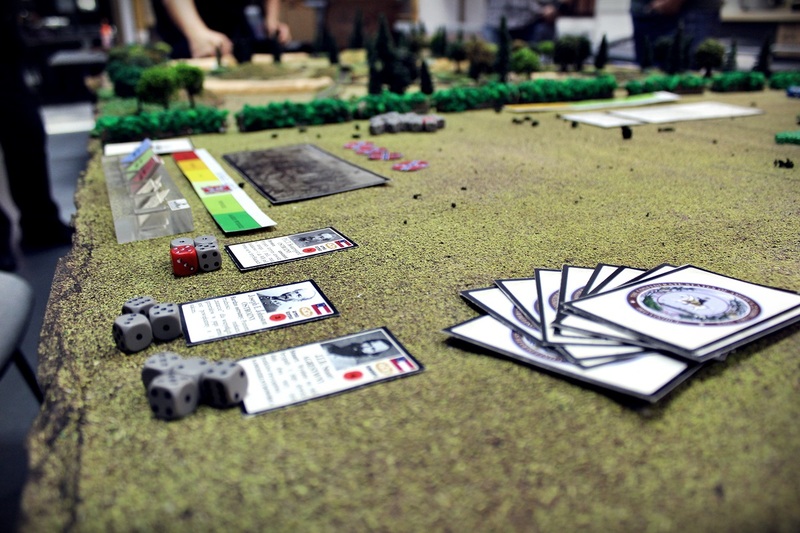 The rulebook had it’s premiere on September 2017. We are currenty translating it into English, and hope to finish our efforts soon, despite great delays. 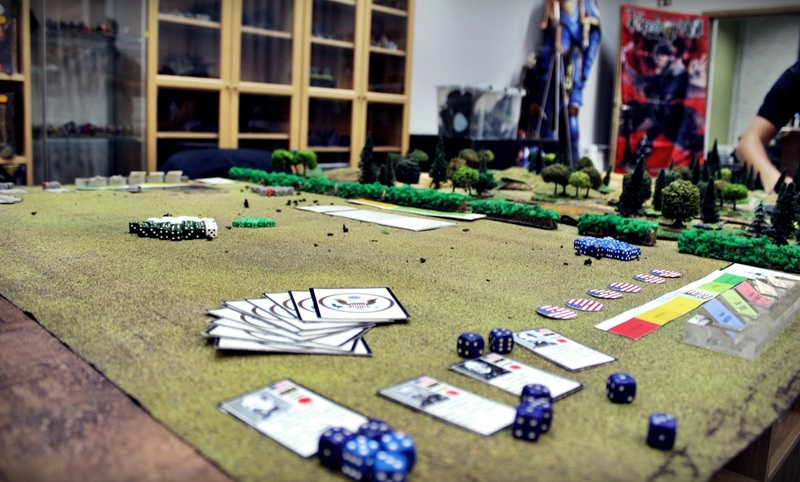 Below we present many pictures, presenting the rulebook, cards, and game table. 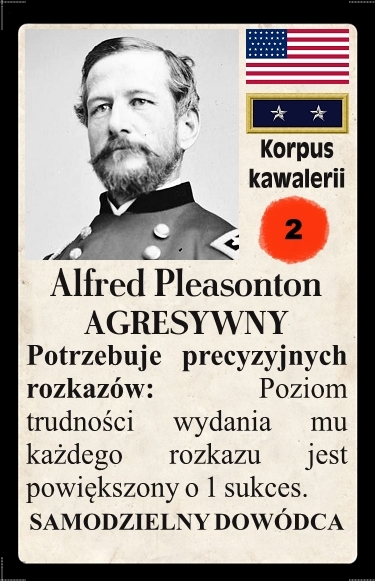 W środku znajdują się fotki z rekonstrukcji historycznych. 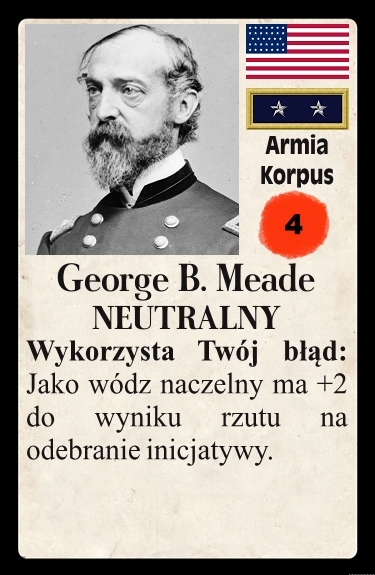 Okładka podręcznika przedstawia bitwę pod Malvern Hill. 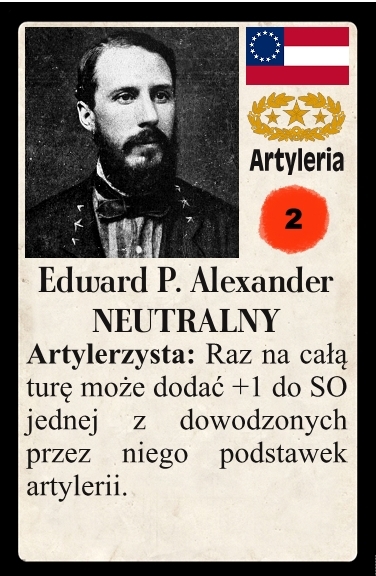 Autorem logo systemu jest Jan Jasiński. 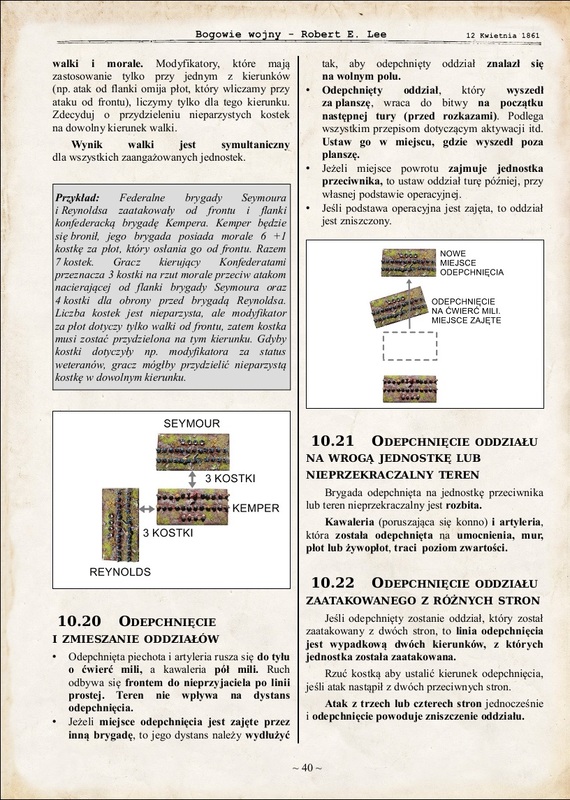 Najważniejsze zasady zostały wyjaśnione dodatkowo za pomocą schematów. 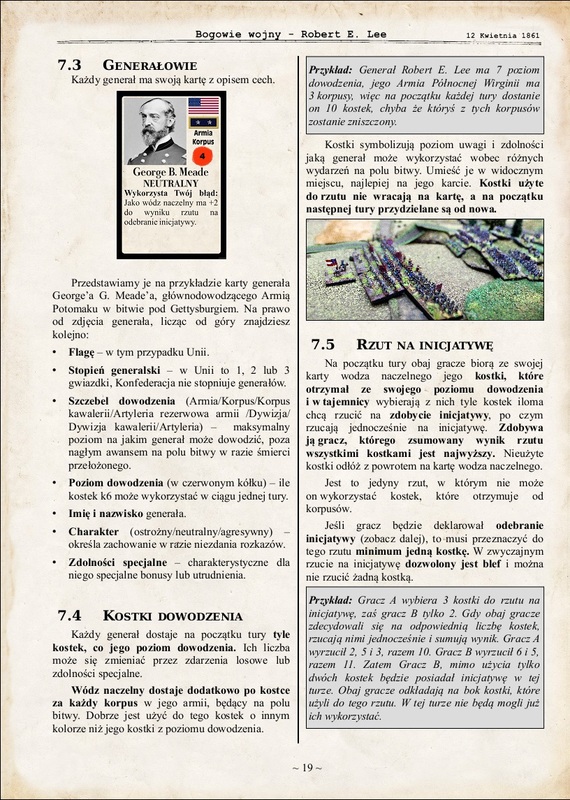 Tło stron stanowi stary papier. 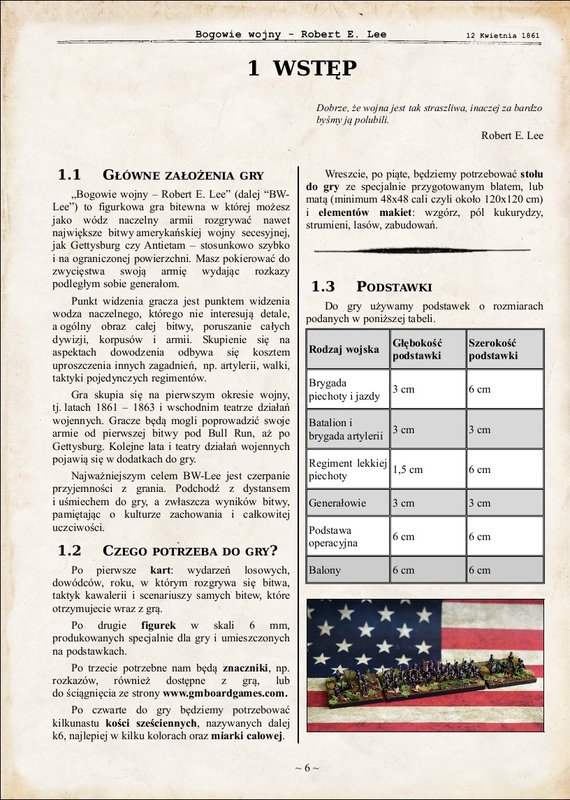 Ta strona zawiera bardzo ważną tabelę – określa ona rozmiary podstawek do gry. Częścią podręcznika są również fotki figurek, a także przykłady zasad, zgromadzone w szarych tabelkach, dzięki czemu bardzo łatwo je odnaleźć. 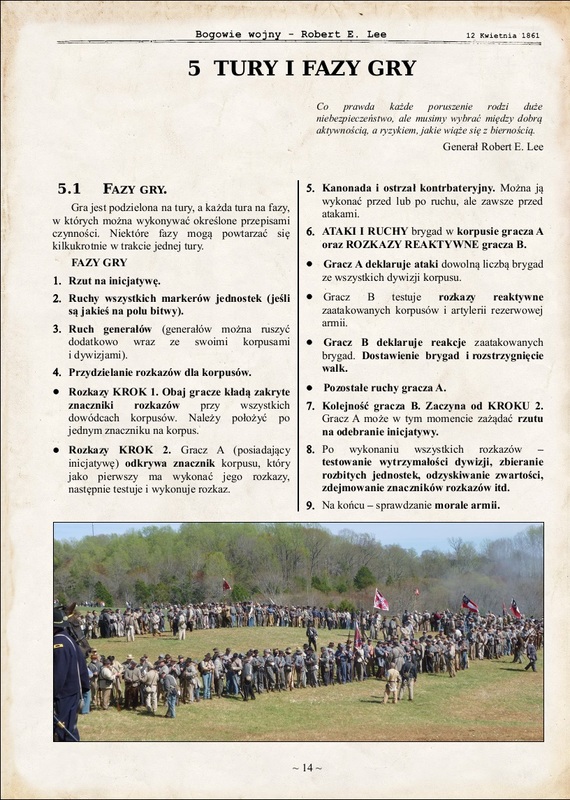 Karta roku gry. 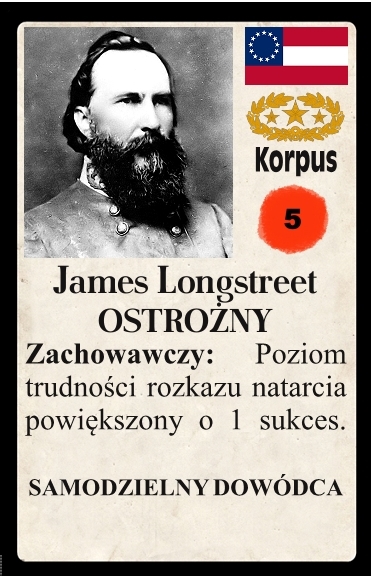 Każdy rok daje armiom różne dodatkowe efekty / Year of the game card. 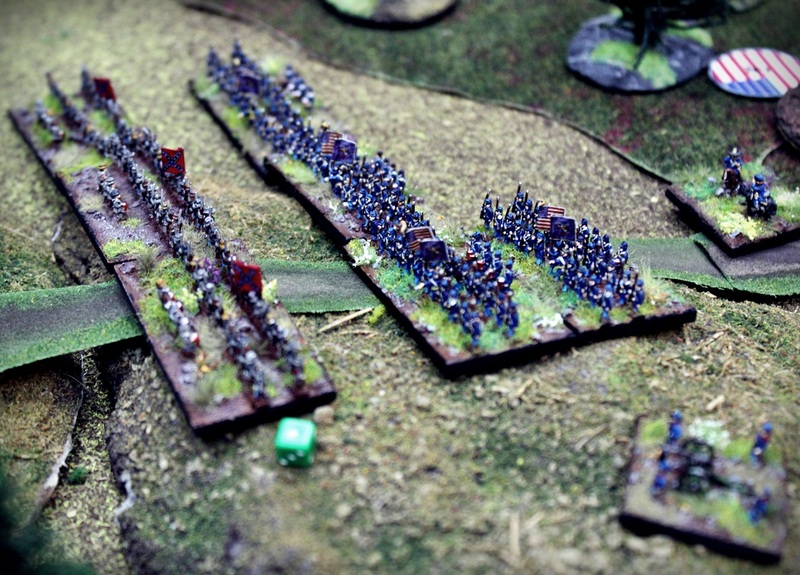 Different years will give different effects on both armies.